So, Paul Osborne and I went out to Paul Weller’s studio… and I met my childhood hero. Weller was a top host and a great interview. You can read the results in this issue. A reader told me at the last Shindig! night how covering someone so intrinsically influential on so many of us of a certain age was a brilliant, and somewhat daring move… as was covering Broadcast, all those years ago. It’ll be great to know what you think about this. Preferably after you have read the piece. Shindig! 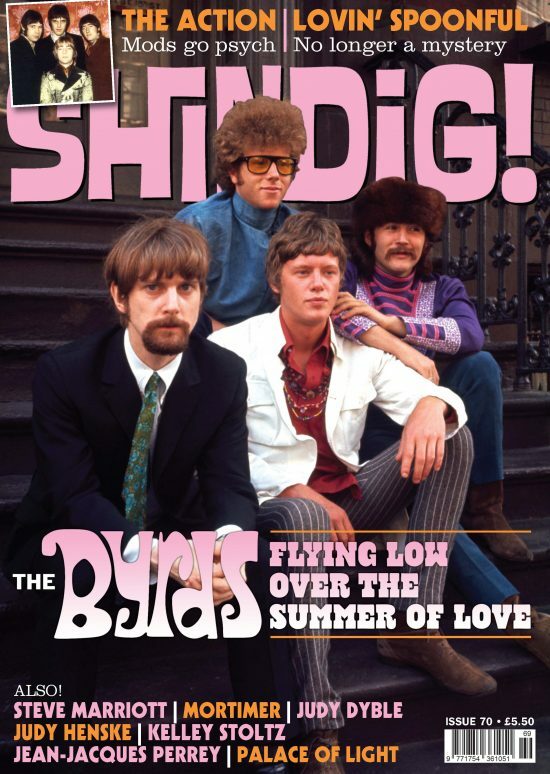 issue #69 has come out somewhat mod with Steve Marriott, Steve Ellis and more. About time too I hear many of you say. Enjoy. 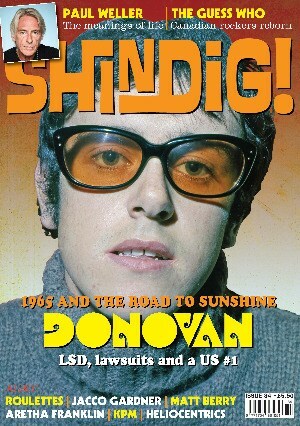 Last Thursday on Soho Radio The Shindig! Broadcast (radio division) Thomas Patterson and I were joined by Craig from The Liverpool International Festival Of Psychedelia, which was a lot of fun.. Tune in below. 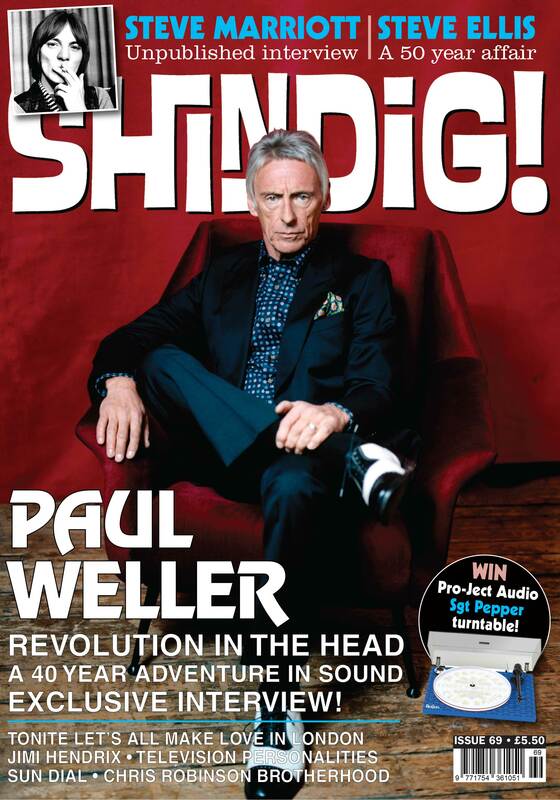 Please email jon@shindig-magazine.com with your thoughts on everything we do. It’s always good to know. Do so now and you may even win next issue’s Star Letter and gain a nice prize. As you can imagine getting the mag out every month keeps us very busy and we constantly have something on the boil. What we need to know is what you think… what you want to see…. what you want from us. Tell us and we will listen. Oh yes, the club nights… Andy Morten and I will be at The Earl Haig Hall this Friday, June 23rd. We love meeting readers and hope you can make at least one of our nights. They’re always a lot of fun. You’ll hear from me next month. Tonite Let’s All Make Love In London: The ultimate Swinging London documentary? Prize Crossword:Win Van Morrison anthology… for real this time!